THQ Nordic are currently knocking out Switch conversions left, right, and indeed centre. The Book of Unwritten Tales 2 is the third from the publisher we’ve seen this year, being a fantasy point ‘n clicker first released in 2015. Despite its age reviews are mostly positive, including 8/10 from GameSpew and 3.5/5 from Screen Rant. It seems like there was room for improvement, though. “The touch screen inexplicably cannot be used when the game is in handheld more, nor can the Joy-Con be used as a mouse pointer when the Switch is docked,” warned Screen Rant. The Switch also gets the far newer RIOT – Civil Unrest, Away: Journey To The Unexpected, and Monster Energy Supercross – The Official Videogame 2, three titles also hitting PS4 and Xbox One this week. We’ve spent some time with strategic rioting simulator RIOT – Civil Unrest. Like many critics, we haven’t been left too impressed. It’s very scrappy, and just like a real-life riot, it’s very hard to tell what’s going on. 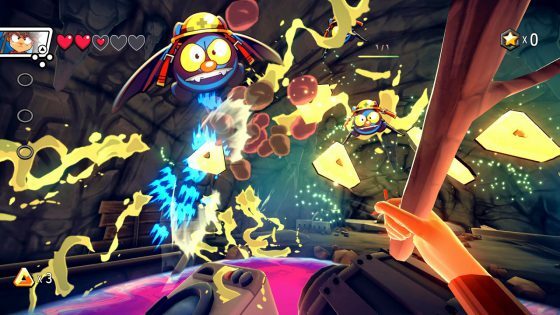 Anime-influenced FPS Away: Journey To The Unexpected hasn’t been best received by the press either, despite the appealing visuals and the ‘feel good’ vibes. The Metacritic currently stands at 45% with The Metro dishing out its lowest score – a miserable 3/10. “The intentions are good, but cute graphics and some clever ideas can’t stop this ‘feel-good FPS’ from being anything but a downer,” was their verdict. The first reviews of Monster Energy Supercross – The Official Videogame 2 on PS4 are more encouraging – even gaining a 9/10 from Gaming Trend – but we suggest waiting until reviews of the Switch iteration arrive. The original apparently had performance issues. Hopefully this sequel has received more attention. 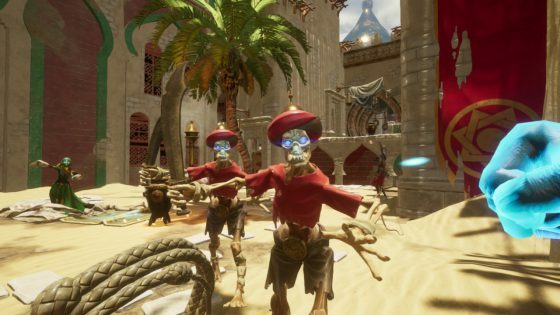 City of Brass is a far safer purchase. This Arabian Nights-themed first-person roguelike ticks all the right boxes, coming from the creative minds behind Bioshock. Nintendo Life deemed it worthy of 9/10, calling it one of the most entertaining roguelikes on the Switch. Then we have Observer, the cyberpunk horror mystery from the Layers of Fear devs. Being a visually demanding game some jiggery-pokery (downgrading) has occurred to get it running on Switch, but it has made the jump mostly intact. “Despite threatening to fizzle under the weight of its reverence for Blade Runner, Observer manages to craft an impressive and affecting horror experience on Switch that doesn’t outstay its welcome,” said Nintendo Life. Nintendo World Report wasn’t quite as impressed however, opting for a 7/10. They praised the puzzle elements but felt like some areas were nothing more than filler. Other games of note include Defense Grid 2 – one of the best tower defence games around – retro platformer Commander Keen in Keen Dreams, and Hamster’s re-release of Puzzle Bobble 2 on NeoGeo. 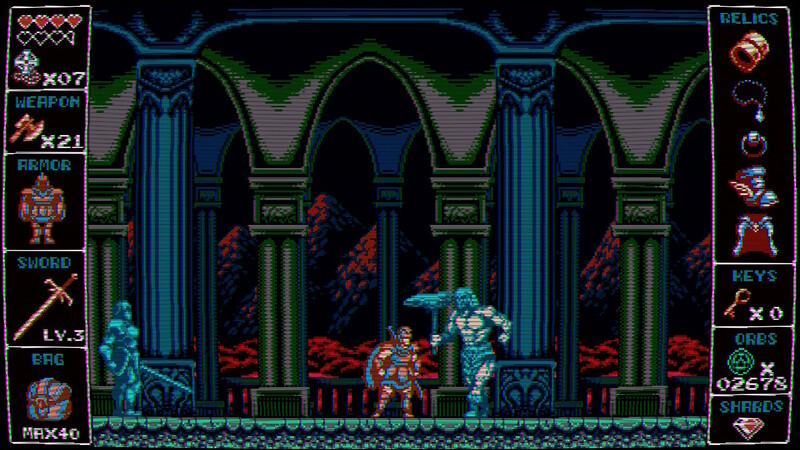 Odallus: The Dark Call also steps out of the shadows. This is another 8-bit style Castlevania alike, albeit one slightly more accomplished than most. Also: the protagonist is called Haggis. Nintendo World Report found it to be a “fun and challenging” throwback, which is about as much as you can ask for. In addition to a Kirby’s Extra Epic Yarn demo, the 3DS gains the very well received JRPG Etrian Odyssey Nexus too. Critics seem englamoured by this ‘greatest hits’ role-player package, with GameSpot handing out 8/10. “Despite a few small stumbles, the grandiose adventure Etrian Odyssey Nexus delivers is a rewarding, engaging journey you’ll be glad to take,” their reviewer beamed.